NANAIMO – Family event adds to annual yuletide cheer around city. Dec. 11, 2014 11:30 p.m. 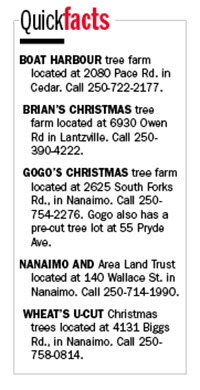 While there are people who swear by artificial Christmas trees, there’s nothing like the real McCoy, say Nanaimo-area Christmas tree sellers. Brian Dempsey runs a U-cut Christmas tree operation in Lantzville on Owen Road. He said cutting a Christmas tree is a holiday experience for families and adds to yuletide cheer. He sees children who used to select trees with their parents return as adults, often with their own children. Despite being allergic to the trees, Dorothy Kelt, operator of the Boat Harbour tree farm, also thinks cutting a Christmas tree is something the entire family can enjoy. Kelt said parents, kids, grandparents and grandchildren wander her Pace Road site having a good time. Adding to the experience is a Christmas tree-shaking machine, which is a small, red box that shakes off loose needles. “After we cut the tree, then we put it in the Christmas tree shaker and the kids seem to love watching that,” said Kelt. Stan Wheat, a forestry consultant, operates Wheat’s U-cut Christmas Trees in the Jingle Pot Road area and said natural trees are better for the environment. 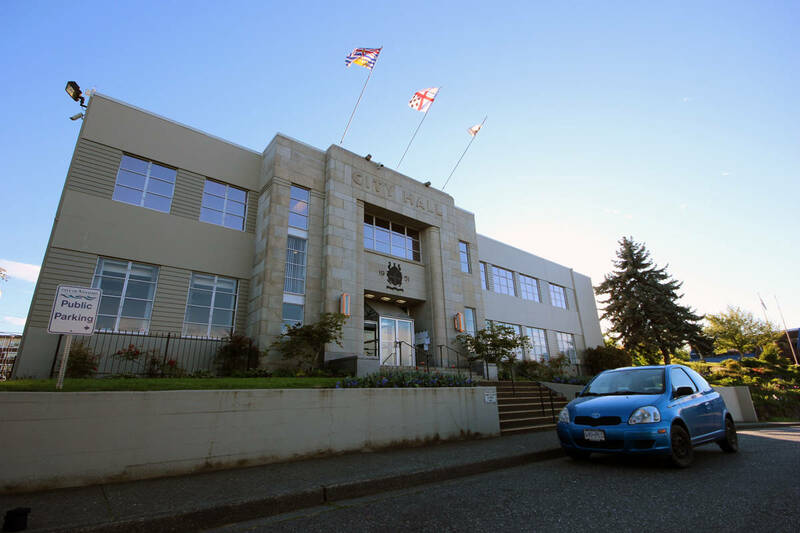 Environmental friendliness is also something the Nanaimo and Area Land Trust touts. In addition to potted Christmas tree sales, rentals are offered so people have a chance to have a tree and not worry about replanting or disposing of it, said Gail Adrienne, land trust executive director. “Not everyone wants a fir tree in their backyard – they’ve already got enough or they’re in a condo or townhouse where they’ve just got a deck,” Adrienne said. Mike Gogo is also a proponent of natural Christmas trees. He sells trees in two places – his main operation on South Forks Road and a tree lot on Pryde Street selling pre-cut trees.